Distance from Rome: 1 hour 40 min. Where it is located: Province of Viterbo, Lazio. On lake Bolsena (did you guess that?). 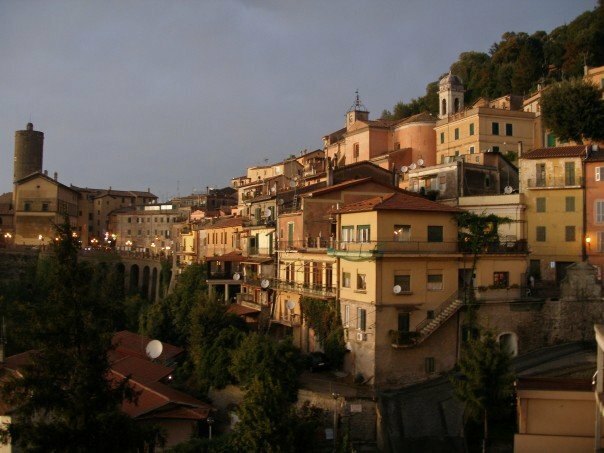 Why I love it: There is something about a small, scenic town (especially an Italian one) that is really serene. Maybe because there are fewer people there, maybe because calm water is pacifying, or maybe just because lakes in general have a soothing effect: Bolsena is a peaceful town. And it is particularly to my liking because it has a bit of a bohemian twist. There are a couple alternative-looking, Starbucks-be-gone-type of cafés equipped with antique furniture, books on vegetarianism or natural remedies and informative pamphlets on both. On the menu: loose-leaf teas and organic wine choices. Where it is located: Province of Grosseto. Tuscany. Why I love it: It is a very elegant little town. It has a great converted warehouse bar (café) and restaurant. I think I also loved it because of circumstance; running into this town on a coffee break saved us from another quasi 2 hour drive late at night coming back from Scansano when we couldn't find a single hotel with rooms available. (Tip: In July, it is better to book a hotel room than trying to find one impromptu). As a non-Italian, Capalbio isn't a town you would know existed. It keeps a low profile compared to the Hollywood/Rick Steves Italy and that is refreshing. Where it is located: Province of Terni. Umbria. Why I love it: Orvieto, in comparison, is probably in a Rick Steves guide; it isn't exactly a hidden gem any more, and it definitely fills to the brim with tourists in the summer months. However, if you go in the off-season (November- March), it is quite charming. And, in any month, its Cathedral is truly magnificent; the view of it from a distance really makes Orvieto stand-out. Where it is located: Province of Viterbo. Lazio. Why I love it: I am not sure exactly, but it probably has something to do with the fact that its aqueducts go right through the city! In Rome, the mineral water, Acqua di Nepi, is also sold everywhere. I find it neat to see from where this water derives. Where it is located: Province of Rome. Lazio. 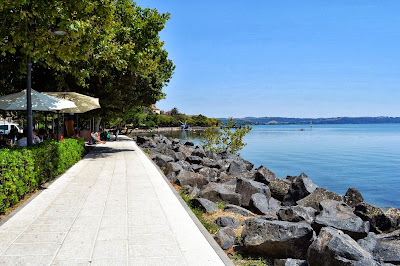 Why I love it: Like Bolsena, Anguillara is a serene and beautiful town on a lake, Lake Bracciano. The dark blue water frequented by ducks, geese and swans makes you think you are in a far-off place, certainly not 50 minutes from Rome. 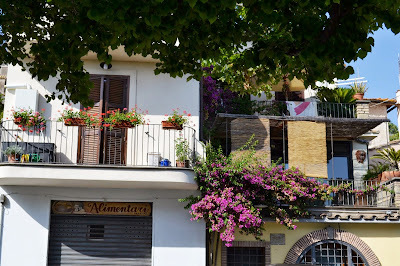 Why I love it: Also on Lake Bracciano, Trevignano has a large boardwalk that starts with beaches on one end, winds past the town with restaurants with open-air terraces and ends with little boutiques, interesting shops and picturesque home fronts on the other end. Something about Trevignano makes me, the quintissential city girl, want a little house out in the country. Why I love it: My favorite. It is known as the town of fragoline, wild strawberries. There is a festival here every year, but even without the festival the small strawberry pastries, jams and other goodies are available for sale in all the town's stores. Nemi sits high on a volcanic lake and the view from above of this circular black water is enchanting. It is especially spectacular at night with the glowing orange of the street lamps. Nemi could be my fairytale city. Any other day trip destinations I should check out?